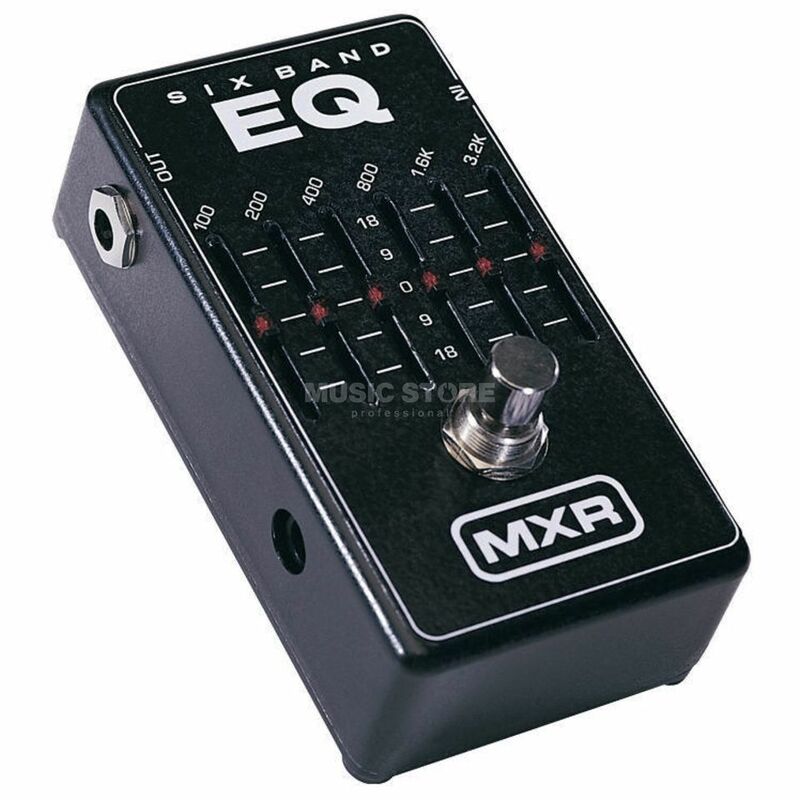 The MXR M109 equalizer pedal is a fantastic way to add a mid boost for screaming leads or scoop out the middle for some bludgeoning heavy rhythm thud. The MXR 109 offers six bands covering all the essential guitar and bass frequencies, with each slider ready to deliver 18 dB's of cut or boost. Completely reshape your sound or boost a wicked alternate lead tone that will jump out of the mix at will. Turn a problem signal into something that absolutely glows and helps you discover your own signature sound. Ideal for creating scooped mids or massive lows you never thought you could produce. It will also add natural-sounding warmth to a quacky acoustic pickup and instantly eliminate onstage feedback or boost your overall signal when using a massive chain of floor effects. Redesigns include a rugged bypass switch and "positive feel" illuminated sliders. The build quality is excellent, with a great weight from the metal casing. It also has three advantages of its 10 band counterpart: its smaller, runs on a 9v power supply (instead of 18v), and also has a /-18 dB filter on each band (the 10 band has /-12 dB). Sound quality is excellent, with no colouration of tone with all frequencies set to 0. I would have loved a level control too, though as I always have it switched on in conjunction with a Maxon CP101 compressor it doesnt make a whole lot of difference as I compensate with the compressor level. I use it with a Martin D15 (fitted with a Fishman Matrix Infinity) into a Fishman Loudbox Mini. It really helps smooth out the already excellent tone, so I really do consider it (and the Maxon) as the two essential pedals for any pedal board. The draw is apparently only 3mA too, which is great if you use a battery pack like the Sanyo Pedal Juice.